The Hollow Core Carousel features a cantilevered design that allows the carousel to be loaded from the ends which significantly shortens loading and retrieval times over a traditional carousel that requires you to unload the roll and remove the carrier before retrieving product. The pan carousel is Vidir's newest addition to their premiere line of vertical carousels. 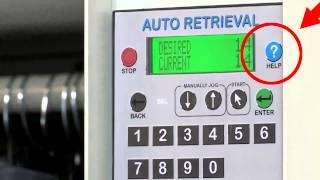 It provides the greatest level of storage density as well as featuring advanced carousel automation and inventory control. 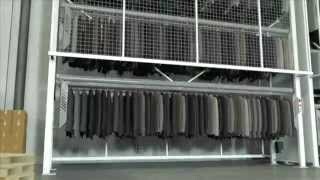 Vidir's MMB (Motorized Moveable Bases) is a unique storage solution that can increase your usable storage space by as much as 100% by eliminating wasted aisle space. 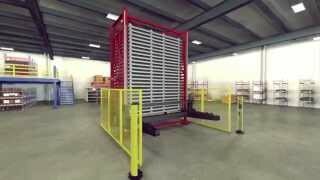 Vidir has been designing and manufacturing unique storage solutions since 1986 for manufacturing, distribution, warehouses, institutions, and retail. 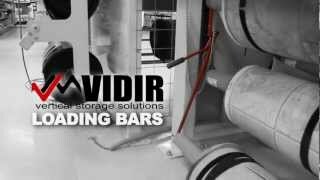 Vidir's loading bars make loading and unloading your carousel a simple and quick operation. 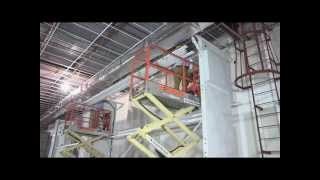 One person can easily handle heavy payloads by simply allowing the machine to do all the work for you. The Light Duty Spool Carousel is Vidir's low cost alternative to our standard wire carousel offering. Specifically designed for locations that may not be able to justify a full sized carousel this light duty version has been scaled down to fit within your budget and your space. Watch the anatomy of a Vidir Caousel installation. 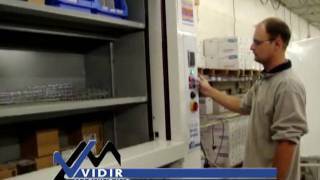 This video covers a Vidir Garment Carousel being installed from receiving the carousel components at the store location through to the final completion stages of setting the garment carriers on the chain drive. 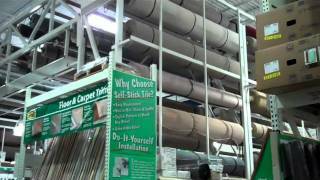 This video gives the customer a good overview of what's involved in the carousel assembly process whether it be a Garment Carousel, Carpet & Vinyl Carousel, or other application type. Video showing what the Over the top carousel looks like in a retail setting. This video shows the three Level Bicycle Display with Half Cone End cap. 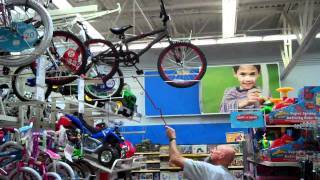 It demonstrates how to load and unload the bikes from the rack. The BMS is an attractive easy to assemble bike display for the sales floor or back room. 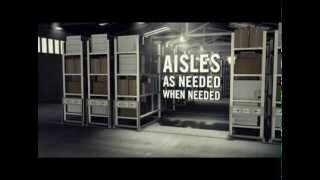 Access top level merchandise safely and easily from the floor without having to use ladders or moveable stairs. 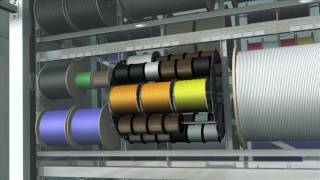 The Wire Carousel is a semi-automated vertical carousel designed to store, retrieve, and dispense various ranges of spooled product. The vertical design fully maximizes overhead space for storage saving valuable floor space. 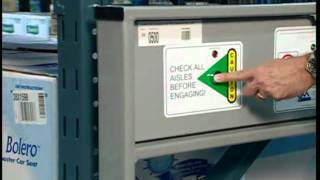 Organize your warehouse and access your inventory items at the touch of a button using the Vidir Motorized Moveable Bases. 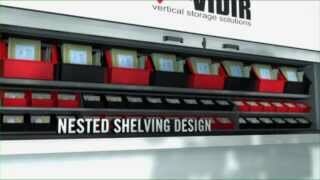 The Vidir Pan Carousel offers more storage in a small footprint. The Pan Carousel maximizes overhead space to gain more storage for inventory. The Vidir Pan Carousel is designed to bring the inventory to the operator not the operator to the inventory. 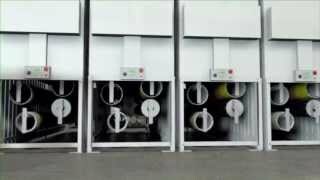 ...Store, Organize and Access tires with the Vidir Tire Carousel. 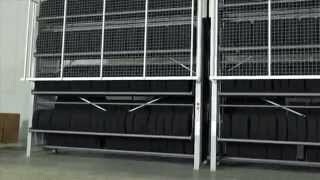 Vidir Tire Carousels provide storage solutions for many different applications including: warehouse storage, floor display, parts stores, transit companies, dealerships, etc. The Vidir Tire Carousel can store tires up to 44" in diameter, expand valuable workspace and eliminate clutter by utilizing vertical space.